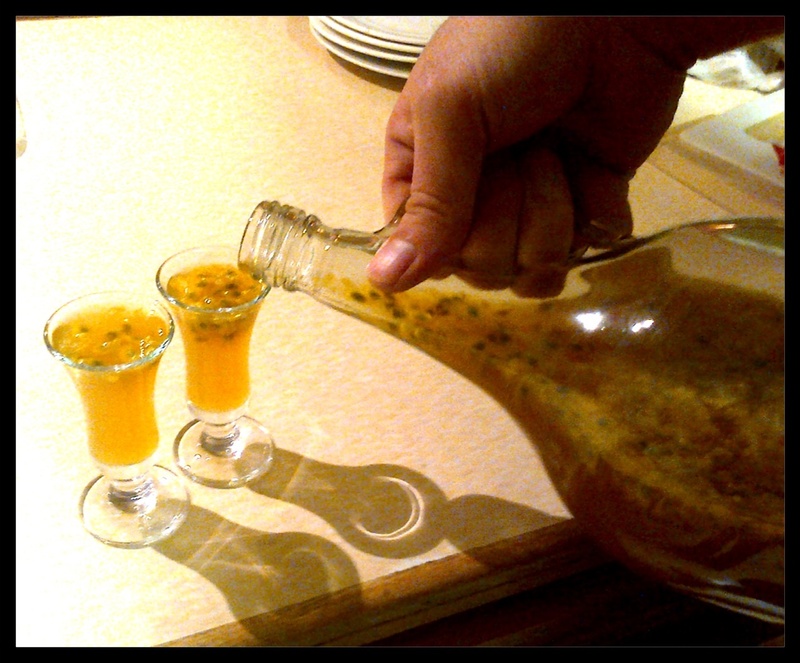 We discovered a local restaurant in Mauritius with a very smooth waiter who, after much pleading on our part, revealed his secret “Granadilla Shooter” recipe to us. We’ve made it a few times since then. It gives you that happy, summertime-island feeling. 😉 It’s always quite a hit! Add all ingredients in a bigger glass bottle and for best results leave it in the fridge for about a month. (Ideally, but we usually can’t wait this long.) Then put it in the deep-freezer and shake before serving. 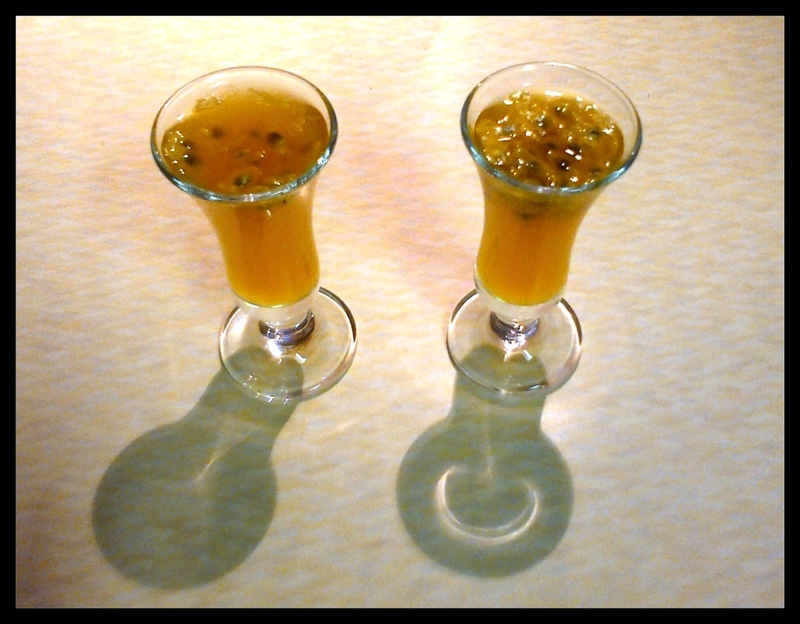 Serve ice cold in shot glasses. 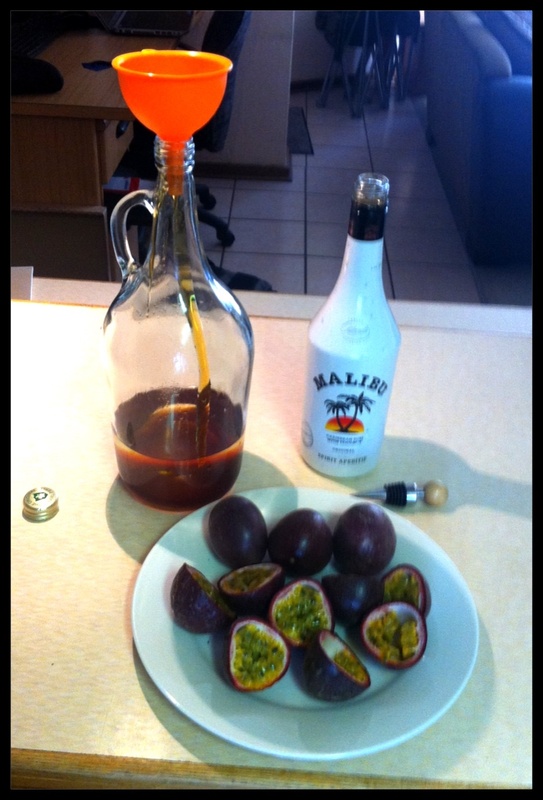 This entry was posted in Desserts & Shooters, Food and tagged granadilla shots, Mauritian shots, passion fruit shooters. Bookmark the permalink.